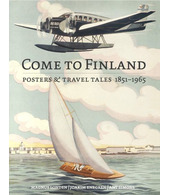 The artist Juha Anttinen studied at the Central School of Arts and Crafts between 1945 and 1949, after which he started working for the advertising agency Uuden Suomen Reklaamitoimisto. Four years later, Anttinen started a new job with the advertising agency Myyntimainonta Oy. Before setting out on a career as a freelance artist in 1957, Anttinen also worked with the layout for the Finnish women’s magazine Me Naiset. Even after having set up his own studio, he continued to work for both advertising agencies and several different magazines until 1991. After 1980, Juha Anttinen also worked as a sculptor. Since 1991, Juha Anttinen has focused on the art of sculpture. He has participated in joint exhibitions at the cultural centre, Kaapelitehdas, in Helsinki on an almost yearly basis. He also has his studio there.